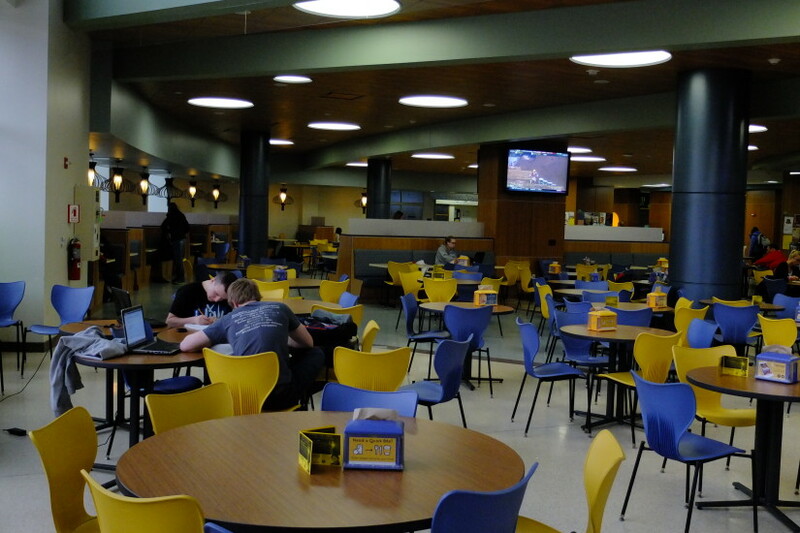 The University of Wisconsin-Eau Claire’s new student center houses eleven meeting rooms, two ballrooms, a four-way divisible room, a two-way divisible room, a 200-seat cinema, meeting and study areas, dining facilities and a two-level lounge with concert reinforcement systems. To create a functional and efficient building, Shen Milsom & Wilke considered the wide variety of events it would host: receptions, formal dinners, Viennese-style balls, conferences, rock concerts, symphony performances and Broadway-style productions. We equipped meeting rooms with extensive multimedia capabilities and the digital cinema with surround sound. 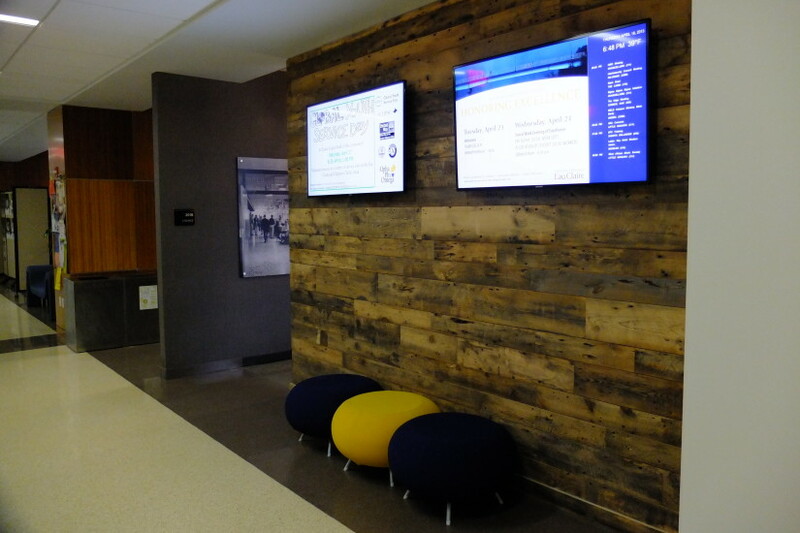 Building-wide digital signage guides students, faculty and guests to the various performance spaces as well as to the study and dining areas. 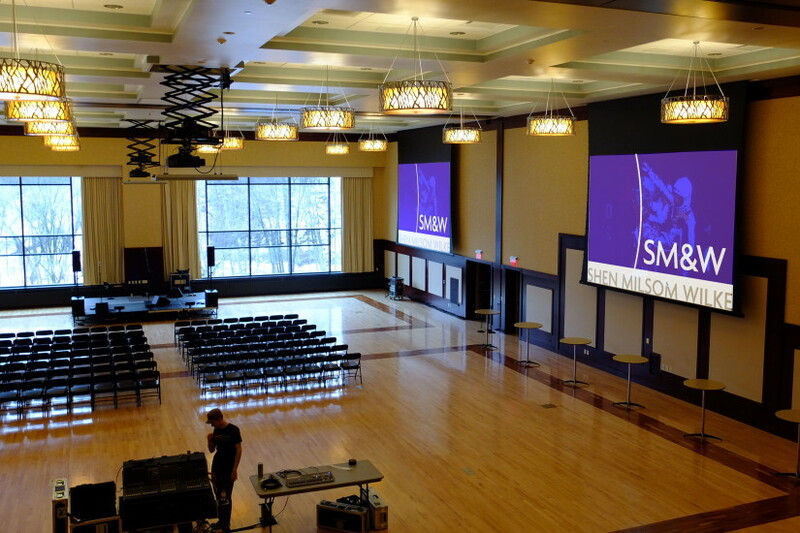 The 6,000-square-foot ballroom uses seven projection systems and audio for events and concerts, while the smaller ballroom has five. The building-wide audio network allows 328 channels of audio to be routed over a single network and includes up to 216 channels of user-customizable input and output, which can route any space or input to any other spaces or outputs. This includes outdoor terraces used for concerts and events. Both the ballrooms and the building-wide audio can be shared.